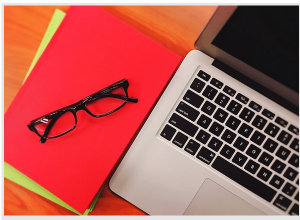 An article in Evolllution by Vickie Cook and Gayla Stoner enumerates the value that a continuing ed unit can provide an institution as a centralized resource supporting online initiatives. This interview with Anant Agarwal, CEO of edX, covers the growth of edX and his ideas about where higher ed is headed. 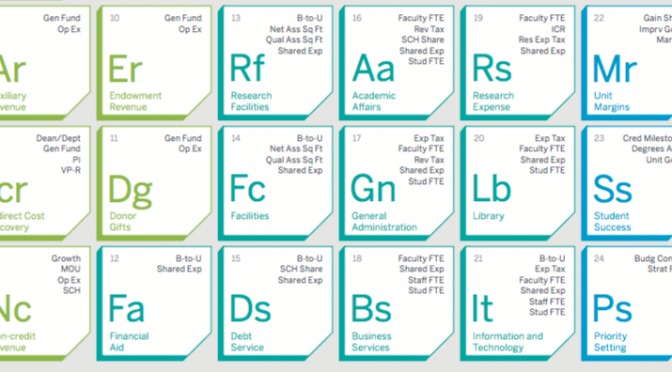 We think universities will just get transformed. You still need the content and the course and the professors who provide them. What will be altered is the way it is delivered. Bhargava, Anjuli. April 20, 2016. “Micro master’s is future of online learning: Anant Agarwal.” Business Standard. 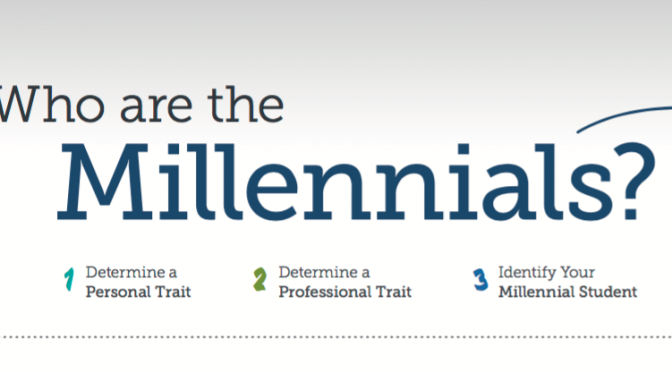 This EAB infographic subdivides the millennial student market by personal and professional traits. 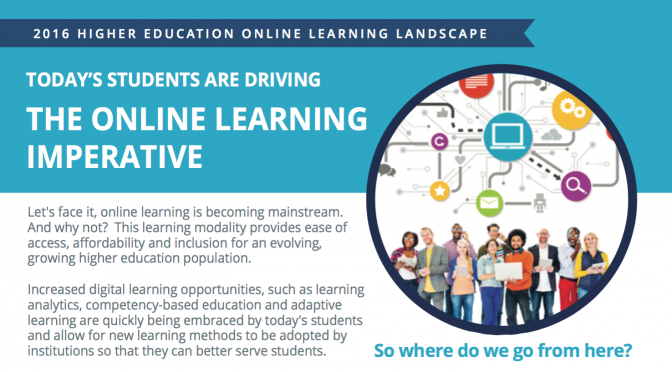 This infographic from the Online Learning Consortium sums up emerging trends in technology and higher ed in 2016, and encourages further growth in ed tech. 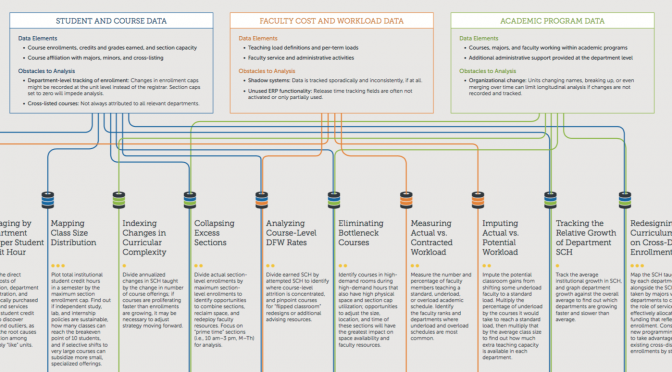 This EAB infographic illustrates the core elements and varied mechanisms of university budget modeling. This EAB infographic illustrates ten ways in which technological information or data can help improve university decision making. The University of Illinois is rolling out an online master’s in data science, which will be offered in conjunction with Coursera. 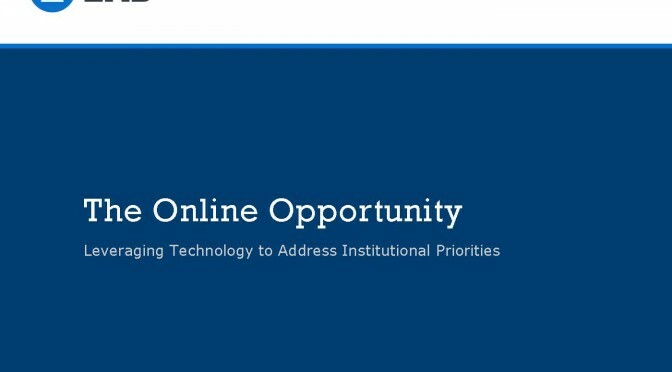 The new degree costs $19,200, and builds on the certificates of completion already associated with the university’s pre-existing Coursera MOOCs. Students who have already received those certificates will have a head start toward finishing the new degree, since those certificates make up two of the four distinct areas of study. The others are data visualization and machine learning. If admitted into the program, students could trade in those certificates for course credit. Ruff, Corinne. “More Colleges Turn to ‘Stackable’ Degrees as Entries to Graduate Programs.” Chronicle of Higher Education, March 30, 2016. An updated version of this Education Advisory Board presentation, given to the online/hybrid task force on March 7, 2016. Stanford’s CS + X joint major program allows undergraduate students to marry computer science skills with an interest in the humanities. The CS +X degrees include specialized courses that involve both aspects of the student’s chosen educational path. CS+X degrees may not be meant for students who want to do deeply technical work as programmers, but rather for those who want to use data collection to analyze topics such as politics, society, and the environment, says Jim Kurose, assistant director for computer and information science and engineering at the National Science Foundation. Ruff, Corinne. Computer Science, Meet Humanities: In New Majors, Opposites Attract. Chronicle of Higher Education, January 28, 2016.
as well as Stanford’s description and listing of these joint majors.